Award-winning law firm O’Connors Legal Services Limited, which has offices in Liverpool and London, has made two new appointments on the back of another successful year as it continues to build the team for the future. Corporate solicitor, Marie O’Grady, has joined the corporate team from Weightmans and is now acting for a variety of businesses providing corporate governance and transactional advice. Josh Bates, who qualifies as a solicitor early next year has also joined the firm and is working across the firm’s corporate, commercial and insurance teams. 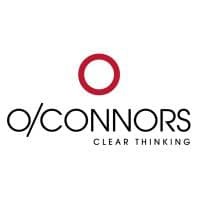 Welcoming the new recruits to the firm, O’Connors’ director, John Spofforth, said: “Attracting and retaining high quality lawyers is key to the success of a legal project management business like ours and we are really delighted that Marie and Josh have chosen to join us so we can expand our offering further as we move forwards. Our strategy is to build a client base of active entrepreneurial clients and grow alongside them by helping them manage risk and seize market opportunities, both nationally and internationally. “This investment in new people has been on the back of a record year for commercial contract work and corporate transactions, particularly UK acquisitions and cross-border sales. Acquisitions have been particularly strong in our specialist sectors of legal, insurance and technology. Sales have included Essential Cuisine’s sale to European food group Solina, Intelipac’s sale to Thai packaging giant TPBI, Risk Services (NW)’s sale to US insurance broker Gallagher and Haarslev UK’s sale to its global partner.